A one-stop-shop for all your fitness and wellness needs! 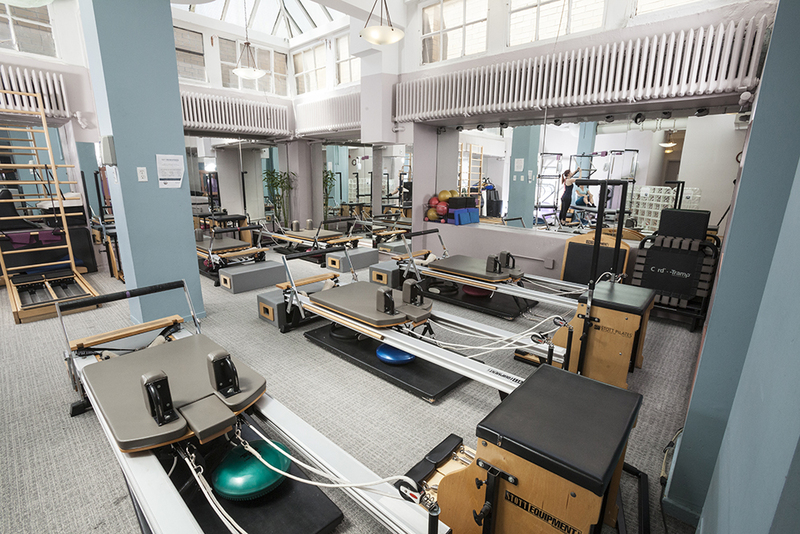 Reformer and Chair Class Area, pictured to the left. 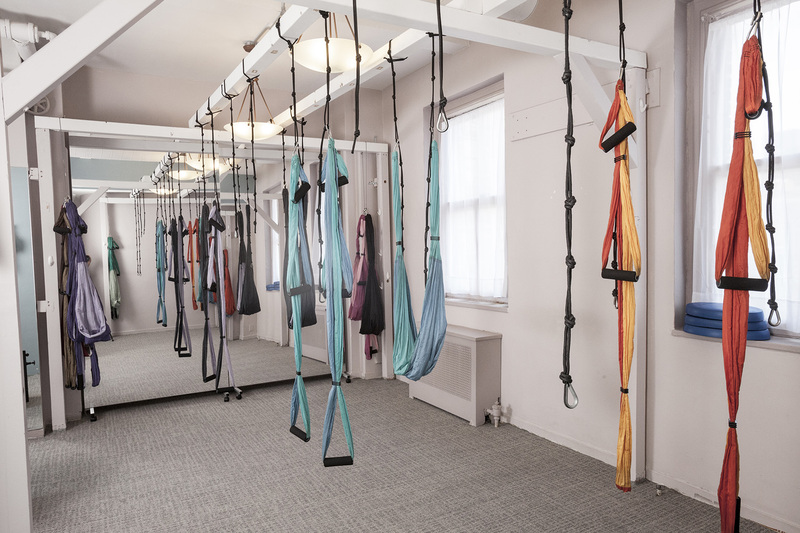 Our mat class room, pictured below serves as the location for traditional Pilates mat classes as well as Pilates on Fifth's signature classes such as CARDIOLATES® and Barres and Belles. Physical Therapy and Therapeutic Massage also available! 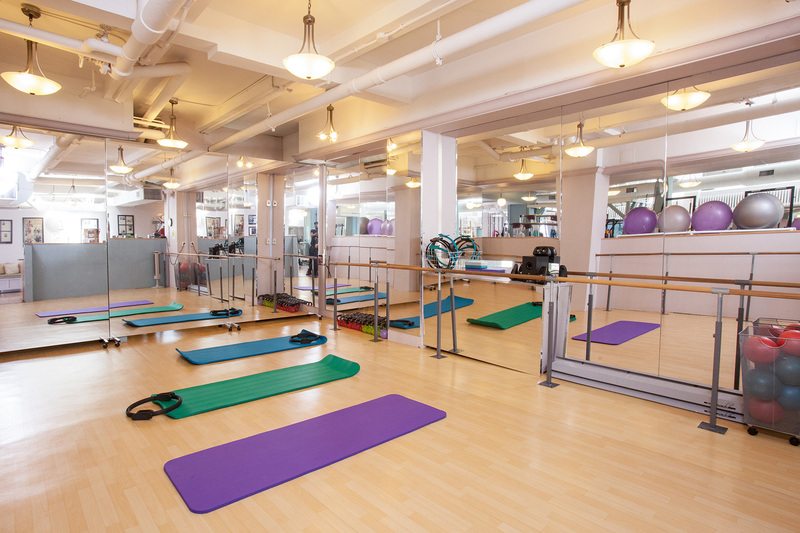 *Pilates on Fifth can often accommodate other schedules. Give us a call! Both Men's and Ladies dressing rooms feature lockers to secure your belongings as well as showers for your convenience. Appointments may be scheduled on the hour or half hour throughout the day with the last appointment ending at the time we close. We do take instructor requests although we cannot guarantee you will be with the same instructor each time. To ensure that you get the same high quality work out each time, our instructors keep detailed records of each client in the client's file. Call 212-687-8885 to reach our Front Desk Staff. 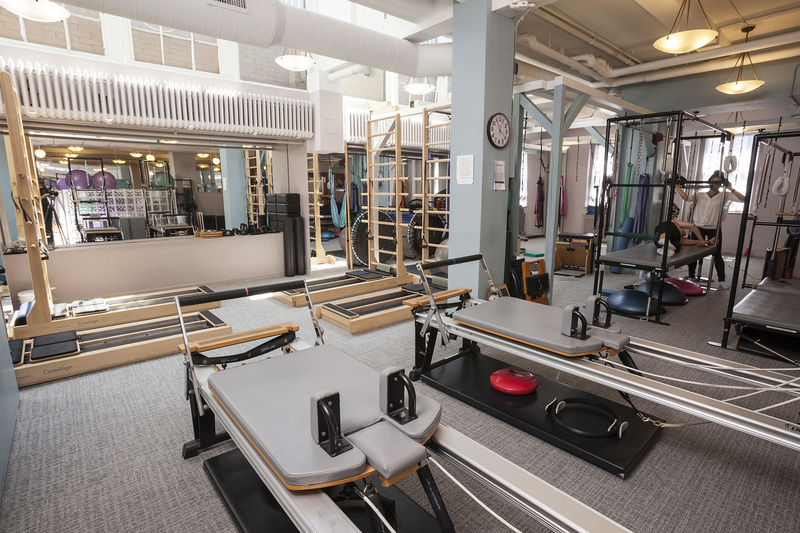 Pilates on Fifth is located at 501 5th Avenue on the 22nd Floor, at the SE corner of 5th Avenue and 42nd Street, directly across from the NY Public Library. For further questions, please feel free to contact us at 212-687-8885. 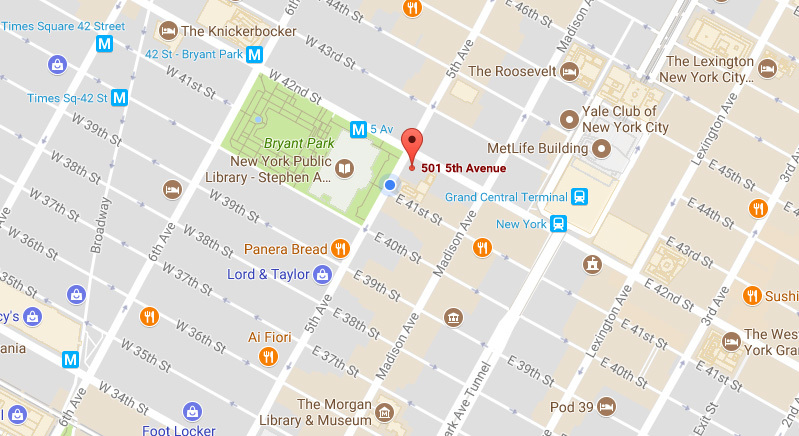 Standing on the SW corner of 5th/42nd (library on your right) we are diagonally to your right across the street.